Did you know that a person who donates all their organs and tissues can save up to eight lives? Unfortunately, it was recently revealed that only 1.2% of Malaysians are registered organ donors - that's only 0.7 donors per one million population. 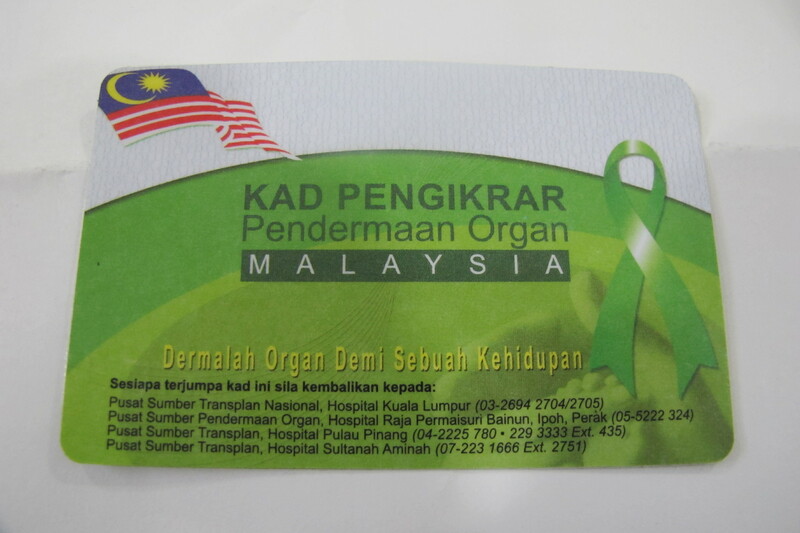 In a recent report by Bernama, National Organ Donation Public Awareness Action Committee chairman Tan Sri Lee Lam Thye, revealed that only an average of 35,000 Malaysians register as organ donors each year. 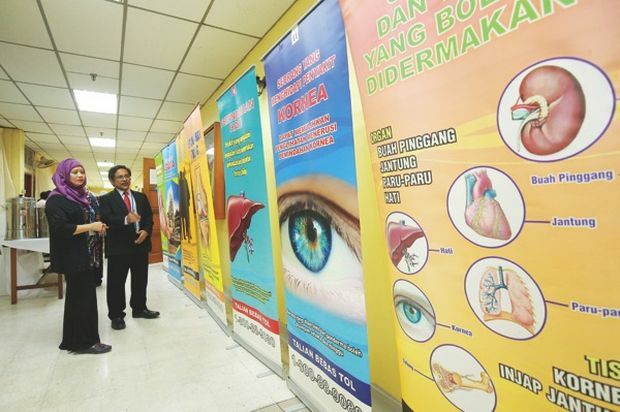 Meanwhile, Negeri Sembilan Health director Dr Abdul Rahim Abdullah, said that the organ donation rate in Malaysia is one of the lowest in the world, as reported by Bernama in October 2016. "According to racial breakdown, the Chinese top the list with 152,113 people registered (42%), followed by Malays (104,450 or 29.02%), Indians (83,648 or 23.24%), and others (19,707 or 5.46%). "The number of death cases due to road accidents in the country is high, about 7,000 cases recorded each year. **Assuming that 10% of the deceased have pledged to donate, then more deserving patients will not have to wait for a long time for their organ transplants," he explained. Organ donation is a medical procedure which involves donating organs or tissues that are still in good condition to living recipients who are in need of it. It saves lives and improves the quality of life for people who are unwell. 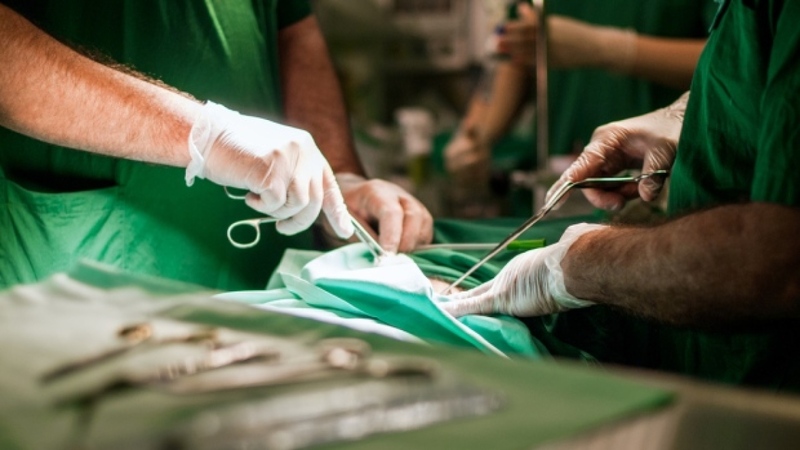 A large number of organ and tissue transplants come from diseased donors who have died from a number of causes, including accidents, heart attacks, and strokes but still have organs or tissues that are in good condition and suitable for donation. 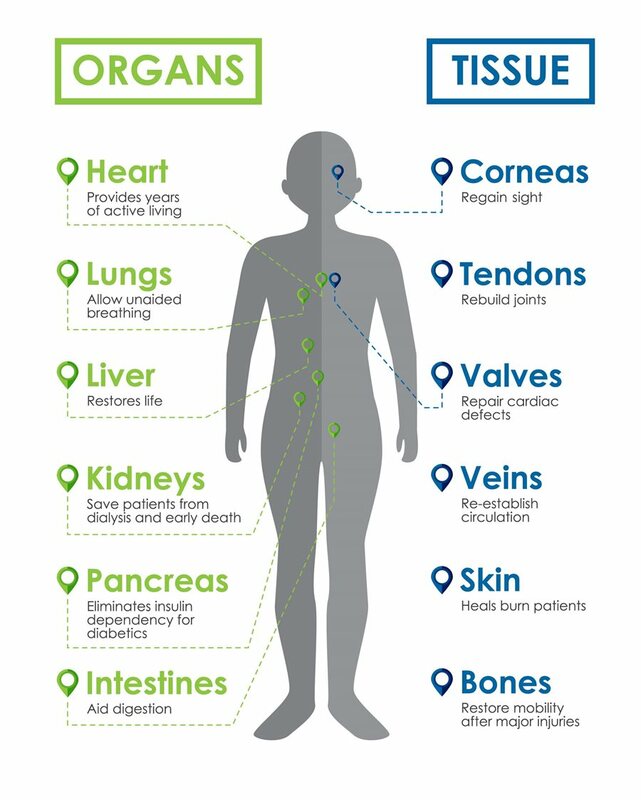 These organs and tissues will immediately be channeled to people that are in the waiting list for transplants. Rest assured that the process of organ donation will not cause any mutilation or disfiguration on the body. So, an open-casket funeral is totally possible for organ and tissue donors. 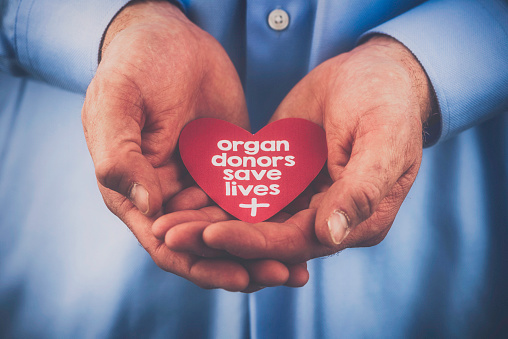 If you happen to be sick or injured and admitted to the hospital, your organs will not be taken away from you just because you are a registered organ donor. You will be given the same treatment as any other patient. Organ donation will only be considered if the doctors declare you as brain dead. Hundreds and thousands of people are on the waiting list for organ transplant worldwide. Many may not even survive the lengthy and uncertain wait for a suitable organ. This is where living donors come in. Relatives, loved ones, friends, or even individuals that are completely unrelated to anyone who needs an organ can be a living donor. The kidney is the most commonly transplanted organ from a living donor - one kidney will be removed from the donor and transplanted. As for living liver donation, a segment of the donor's liver will be transplanted into the recipient. In rare occasions, a segment of organs such as lung, intestine or pancreas can be transplanted from a living donor. In Malaysia, living donation is limited to close blood relatives or those who are in an emotional relationship with the recipient (husband or wife). The donors will first undergo a series of health screenings to ensure the risks are minimum and then they'll have to go through medical tests to ensure that the blood type and tissue are a match with the recipient. If you ever make the decision to be a living donor, you will be first be informed of all the known risks involved with donating an organ. The decision should be completely voluntary and free of pressure or guilt. The information above on deceased donation and living donation was obtained from the United Network For Organ Sharing's (UNOS) website. People of all ages and medical histories can register as organ donors. It is your medical condition at the time of death that will determine which organs or tissue can be donated. According to the National Health Service (NHS), you can still be a donor if you have a medical condition. Even if you are HIV positive, you may be able to donate to someone who already has HIV. As an organ donor, you will not have to incur any cost for donating your organs or tissue. Also, information about an organ donor will not be released to the recipient unless the donor requests or agrees to it. Most religions support organ donation and say that it is permissible to donate organs or tissues to save lives. Read more about what some of the biggest religions in the world say about organ donation here. Organ donation is basically an uncomplicated way of pledging to save lives and it costs you nothing to do it! You can save and enhance the lives of so many people by registering to be an organ donor. For context, a deceased donor who donates two kidneys can save two people's lives. 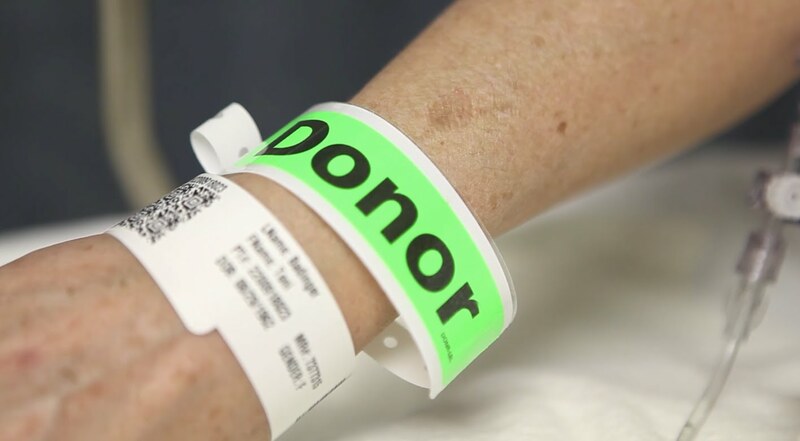 The act will also allow two more people to have a place at the dialysis centre that has been vacated by the ones who received the donor's kidneys. One person can impact four people's lives and that's just the kidneys! Fill in all the required details here and if the registration is successful, Derma Organ will send over your organ donor pledge card within 3 weeks from the date you registered. Once you receive it, fill in your personal information and sign at the back of the card. Keep it with you at all times and make sure that you notify your family members about your status as an organ donor. 3. Alternatively, you can visit the National Transplant Registry at any of these locations and fill in the forms there. If you are below the age of 18, you'll need your parents/guardian's consent to be an organ donor. Also, registering as an organ donor does not require any payment or health screening. There's a lot that you can do with RM1. Gone are the days of waiting for your turn to seek consultation!